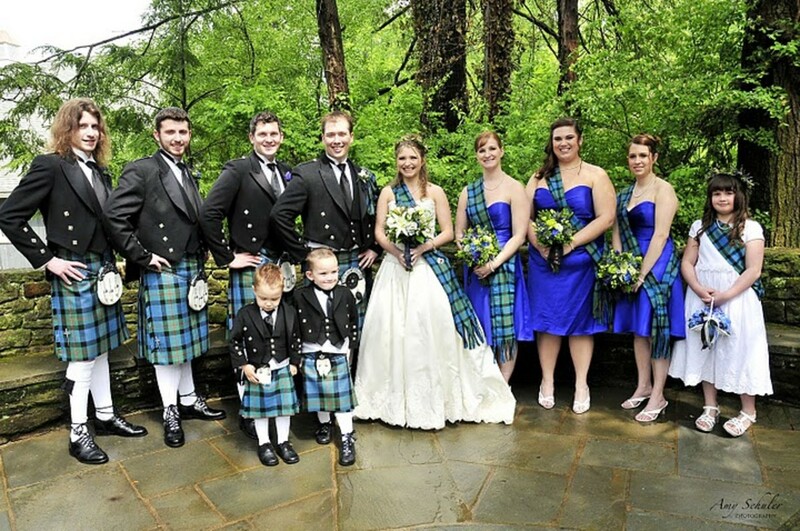 More and more couples choose to ditch the traditional indoor weddings and instead tie the knot in the lovely outdoors. No matter if your big day takes place on the mountain top, on a sandy beach or in your own backyard, there’s something specially romantic and beautiful about outdoor weddings. Nonetheless, it does require more planning in advance and more things to think about. To make your upcoming outdoor event memorable, I’ve decided to share some useful tips and tricks with you! Big Backyard - If you have (or know someone who has) a big, nice-looking backyard, that can be a budget-friendly, yet ideal option for your big day. Of course, keep in mind that renting a large tent is a must in this case (and make sure you have the budget for that too), if you don’t want several drops of rain to ruin your day. Local Park- In many larger cities it’s possible to rent park space to get married. If local authorities allow you to organize a wedding reception in one of your favorite parks, don’t hesitate to book the date and do it. 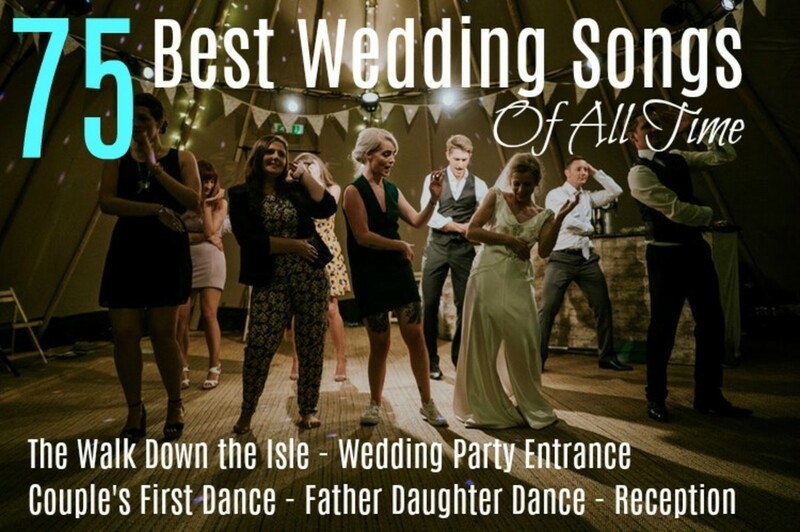 Beach Wedding – A beach may be the best choice for an outdoor wedding venue, of course, if you’re living nearby or if an idea of a destination wedding doesn’t put you off. 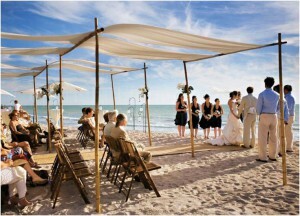 Before inviting your guests, make sure you’ve looked into required paperwork to have a beach wedding ceremony, which is particularly necessary if you’re planning to get married on a public beach. Whatever the location, you have to make sure it’s accessible even for handicapped and elderly guests. Signs have to be visible for the guests to be able to know the location of reception, ceremony, restrooms etc. Even if that beautiful field of lavender looks amazing, in case it’s nearly impossible to get to, forget about it. You need to think about your guests and vendors; they’ll all require access for their vehicles. In case it’s rather difficult to walk to the site (and you simply don’t want another location), you have to provide some transportation alternative for everyone. In addition, uneven walking surfaces on the site could be a problem, so make sure to install temporary level walkways. If you’ve ever thrown a house party, you’re aware of the fact that guests usually spend most time in the kitchen. 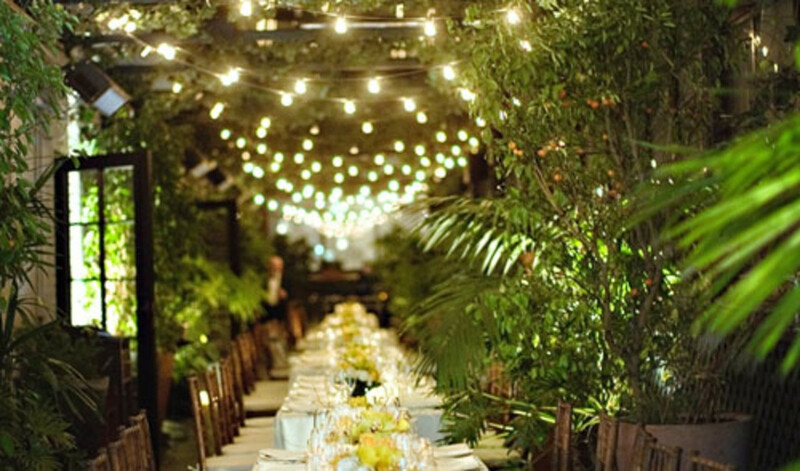 Your outdoor wedding needs to have its “focal point” too. Use a vast space, but pick an area that will serve as a central part; this way your wedding guests won’t be feeling lost. Most people make outdoors parties in summer, to avoid cold and rainy days. However, the hot sun is also something that should be kept in mind. Schedule the beginning of the ceremony after the hottest part of the day, unless of course, you want your guests to be sweaty and burnt before drinking the first glass of champagne. Once again, make sure to research permits for outdoor weddings, including timing, fees and policies regarding music, candle light, alcohol and trash removal. Insects are almost inevitable part of outdoor events, but don’t forget to do your best to protect your guests and wedding food from them. Dessert and buffet stations should be covered and protected from both insects and wind. Also, it’s a good idea to place numerous citronella candles all around the place; they are both decorative and functional. In more humid areas, it’s highly recommended to hire an exterminator and spray the area for mosquitoes a few days before the ceremony. As I’ve said before, insects are inevitable part of outdoor events, but you shouldn’t let them crash and ruin your wedding. When it comes to lighting, it’s crucial for the evening wedding ceremonies. Picking the right lighting options can really make the difference and set the mood. In case open flames are allowed, opt for above mentioned candles. Also, you can’t go wrong with string/bulb lighting. Keep in mind that you need an adequate power source to sustain the lighting, music, caterers etc. 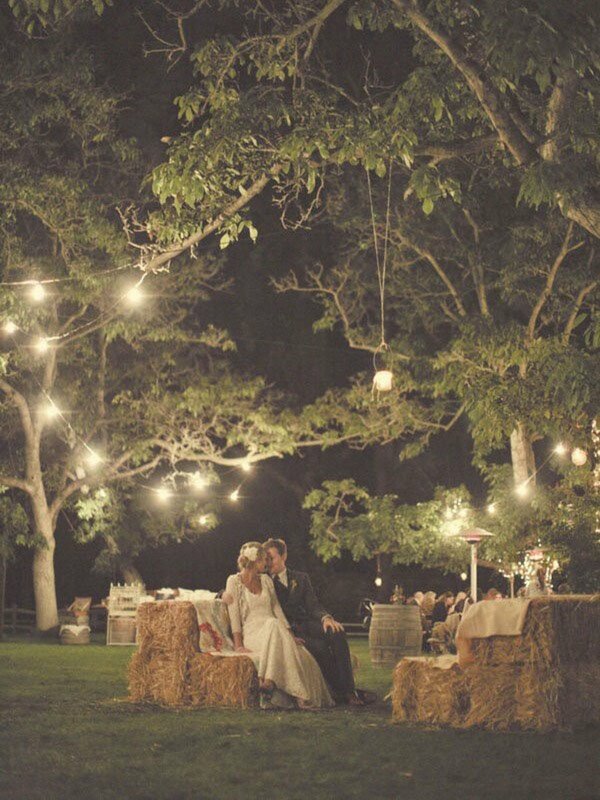 For a typical outdoor wedding, it’s not enough to run a residential electrical cord from a nearby house/building. 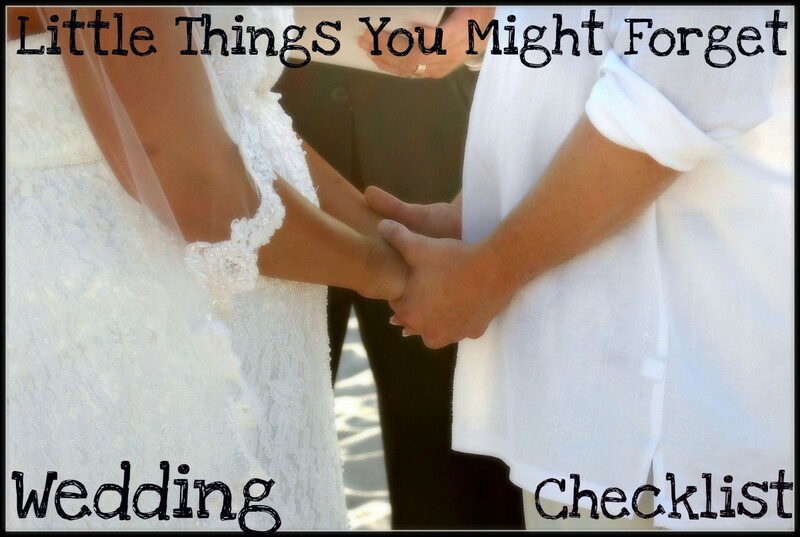 Before purchasing or renting décor and other necessary items, make sure you’ve scouted the venue properly. By this, I mean visiting the venue approximately at the similar time of day which you plan for the beginning of your ceremony. This way you’ll get a good idea of how strong the wind is, what you should do about the insects, what the best options for outdoor lighting are etc. When throwing an outdoor soiree, people always wish for a lovely, clear, sunny day. Most brides-to-be will focus on protecting their guests should it rain. But, the blazing hot sun can be even more unbearable than rainy weather. For that reason, think about the way to shelter your guests from the sun, in particular if you don’t want them to be exhausted or burnt later. Renting a large canopy is a possible solution to this problem. If, however, tent rental prices don’t fit your planned budget, borrow or rent enough patio umbrellas to offer at least some protection from the hot sun. If your outdoor ceremony is going to last more than 15 minutes, make sure you provide benches and chairs for your guests to sit down. Yes, you want them to be on their feet, dancing (with tears of joy in their eyes) all day and night long, but I’m sure your pregnant cousin or your future spouse’s granny won’t be able to make your dreams come true. First of all, I’ve already mentioned tents and, yes, I do think you should rent one. Both your wedding meals and guests need to escape the heat in case your outdoor wedding venue doesn’t have a respite from the hot sun. In case you’re planning a late spring or early fall wedding, consider renting heating lamps or heaters. In fact, they are useful for summer weddings too, because the temperature decreases as soon as the sun sets. Big open fields usually don’t come equipped with (enough) restrooms; therefore you’ll probably need to rent several portable bathrooms. No, I’m not talking about mobile restrooms you’ve seen on a construction sites, but washroom trailers that look rather elegant. These days you can rent luxury bathrooms with amenities like air conditioning, in-room music, posh countertops etc. Renting a mobile wedding bar for your outdoor ceremony is also worth considering. They include waitresses, enough beverage and equipment to make your big day memorable. Event bars are a good idea whether you’re organizing vintage, urban or traditional outdoor wedding. But, what if it doesn’t go away? When planning an outdoor event, you need to have an alternative location or a backup plan. Inform all your vendors about your backup option and, of course, hope for the best! In case you don’t have indoor alternative, putting a deposit on a tent is highly recommended. Natural beauty is usually the best backdrop, so don’t give up on the idea of an outdoor wedding just because it’s somewhat difficult to organize. Trust me on this one; no event planning is stress free! 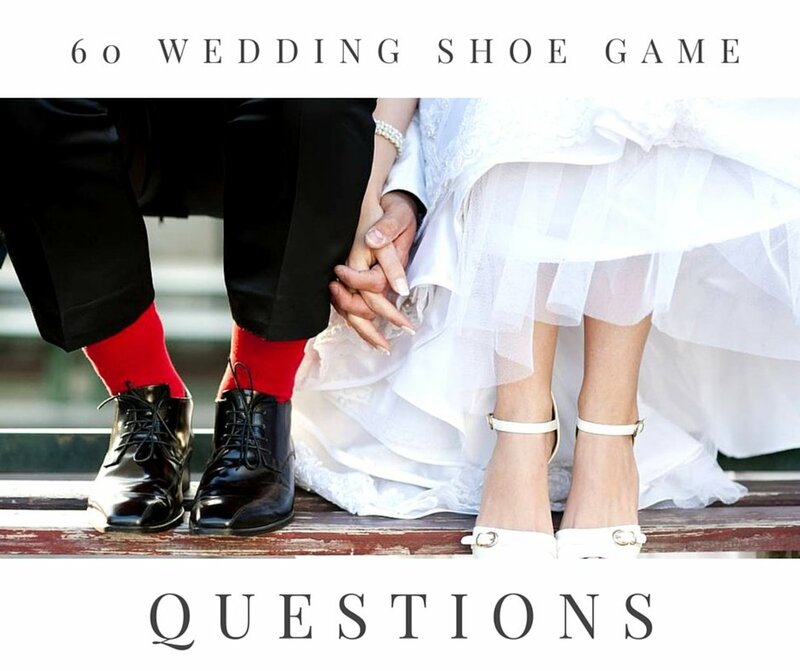 Tie the knot under a bright blue sky and dance the night away under the stars if that’s what you’ve envisioned since the day you’ve met your future husband or wife!